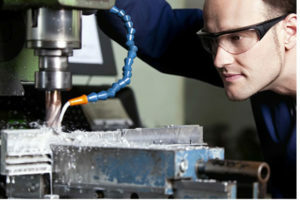 Why purchase machined parts from one source, fabricated parts from another, and assembly from yet another when you can single-source all your needs through us? With our 3D CAD/CAM software we ensure that the product purchased is the best available for the required operation. Products shipped from Custom Tool & Machine can be assembled, optimized, and customized to ensure reliability and complete customer satisfaction. State-of-the-art inspection, calibration and testing equipment ensure your products are built to your specifications.